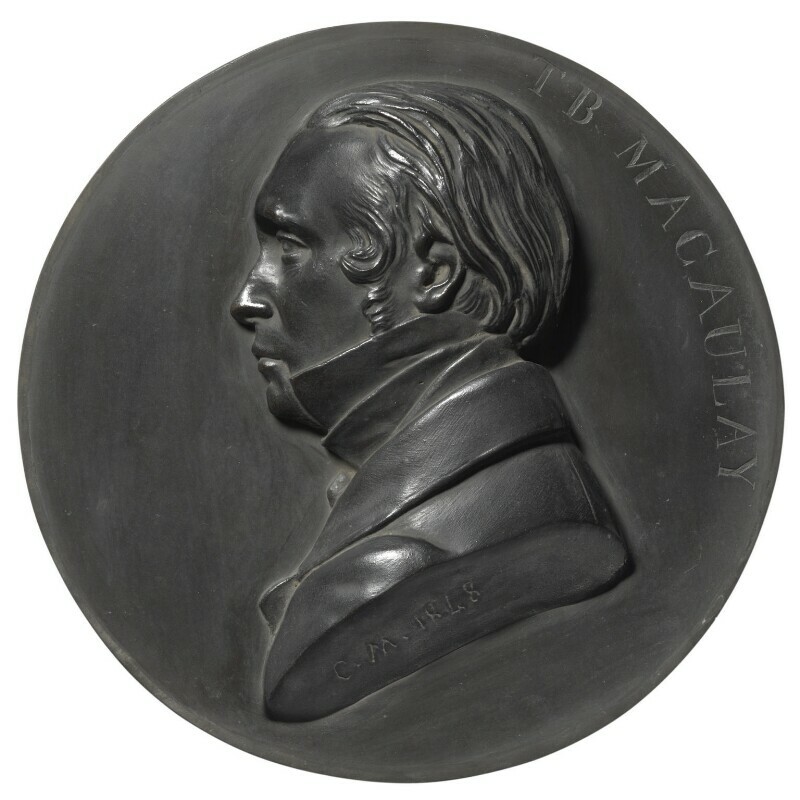 A similar bronze medallion was exhibited VE, 1892 (1070), lent by Viscountess Knutsford, reproduced the Bookman, XLVII (October 1914), II; another is in the collection of the National Liberal Club; a third is in the Scottish NPG; and a fourth is at Wallington (National Trust), Northumberland, possibly the Knutsford one. Lord Macaulay, History of England, edited C. H. Firth (1913), I. Purchased at the Marochetti Sale, Christie's, 7 May 1868 (lot 98). Lord Macaulay, History of England, edited C. H. Firth (1913), XI.